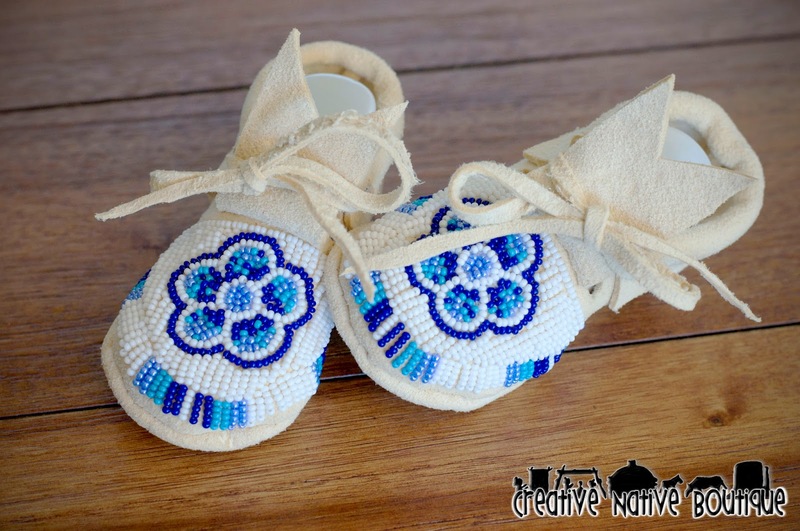 I've been experimenting with floral designs just for fun...here is another rendition of the Ojibwe floral design, this time in shades of blue and turquoise. 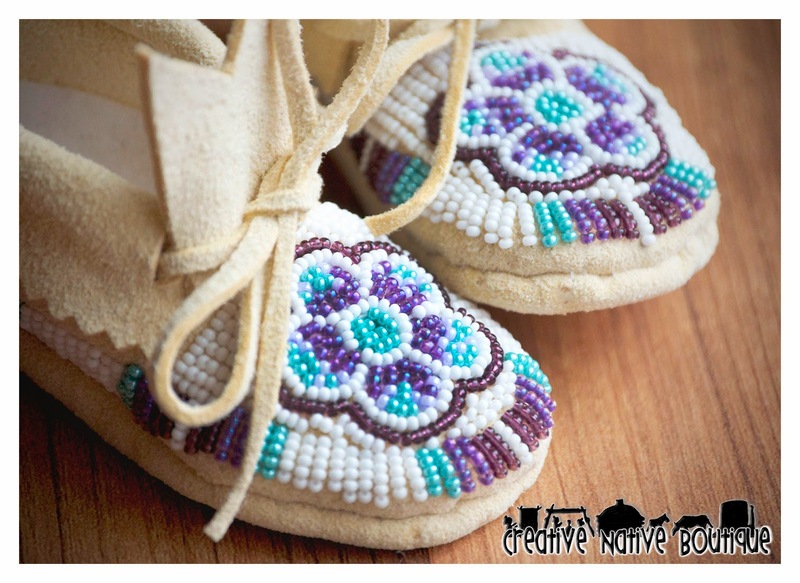 These moccasins are finished and ready to purchase in my Etsy Shop. 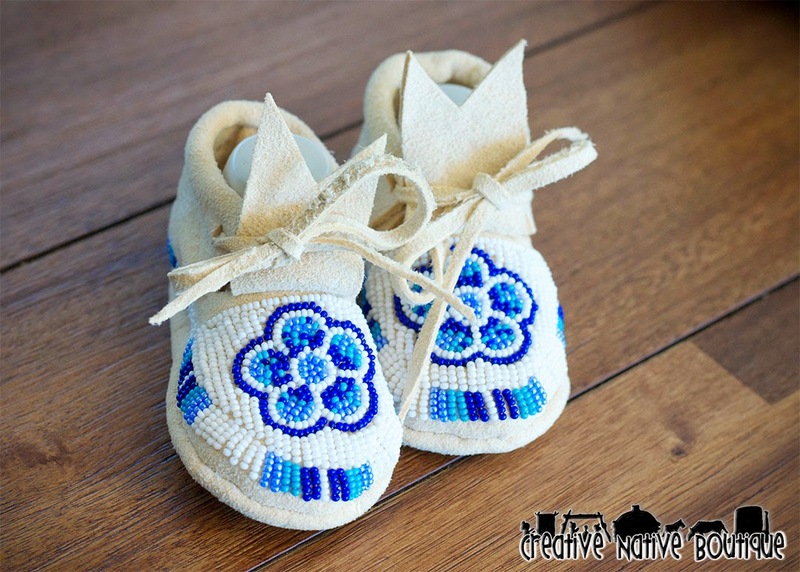 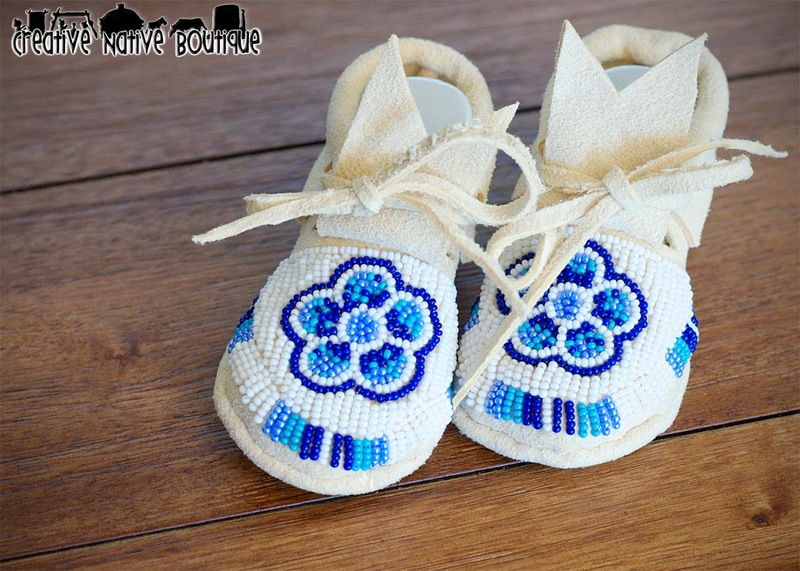 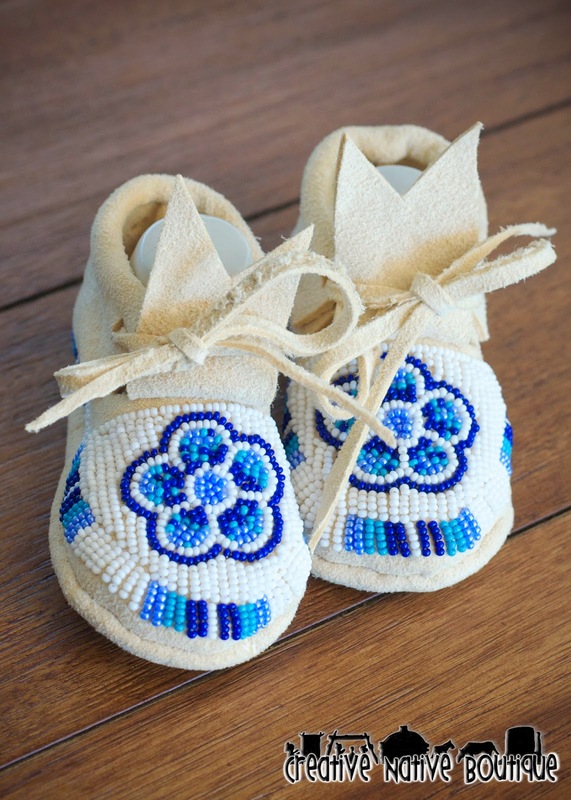 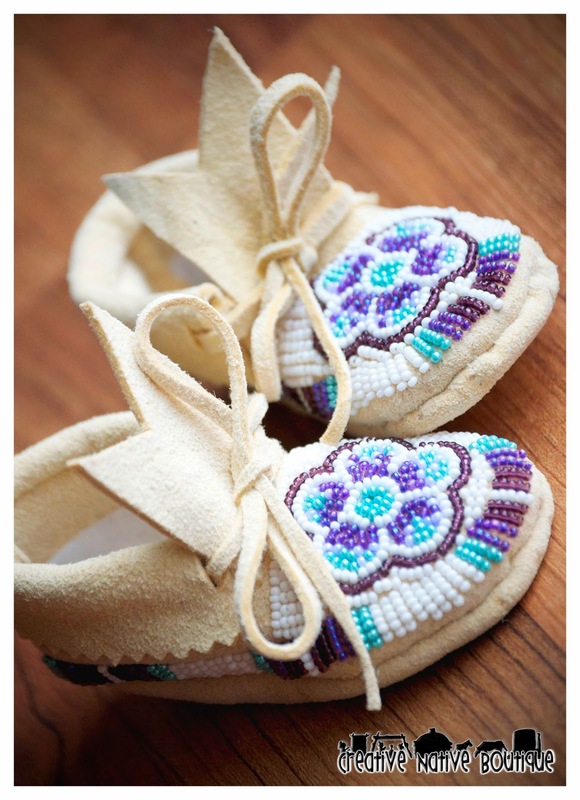 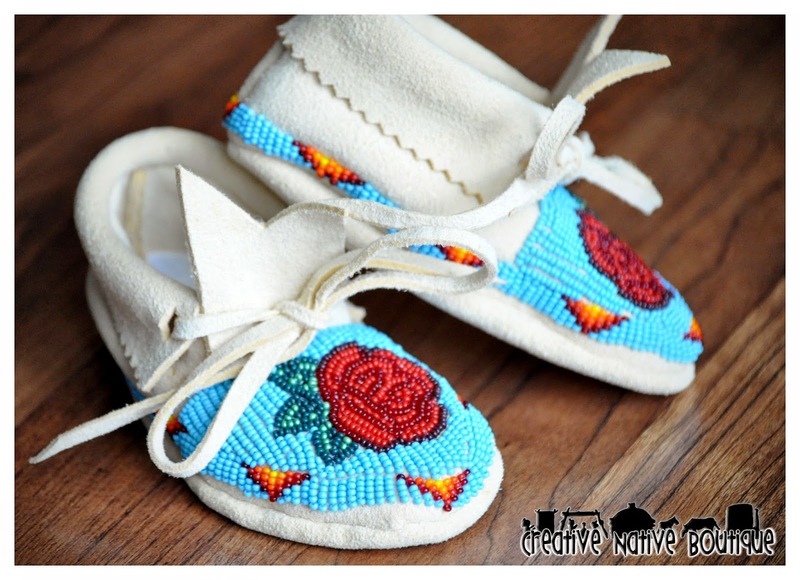 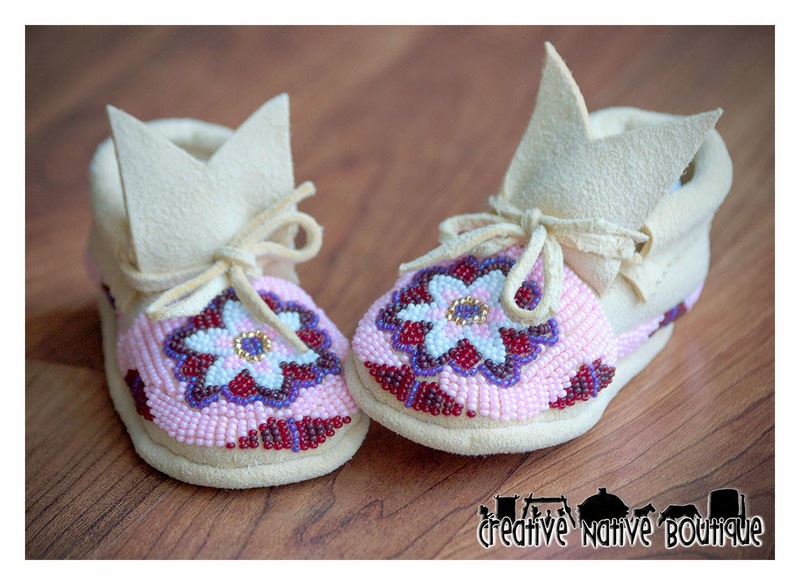 They are a baby size 2, and are fully beaded. 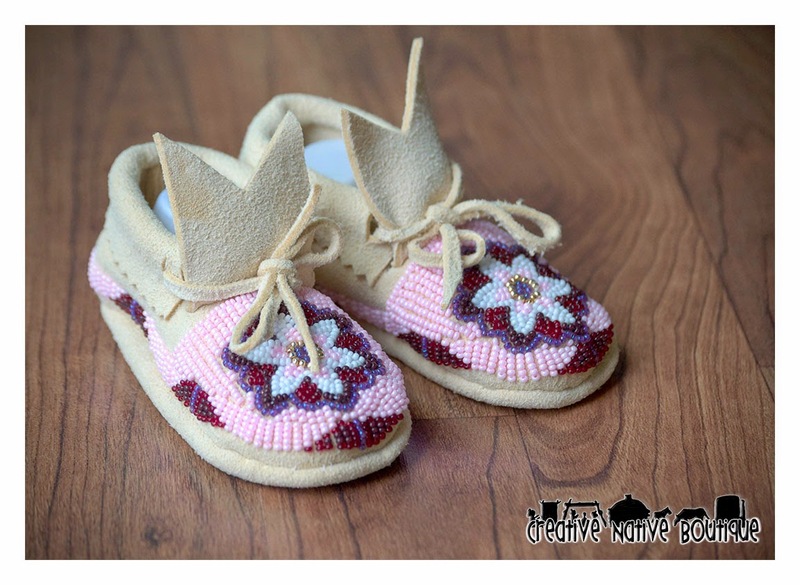 These baby moccasins turned out so cute! 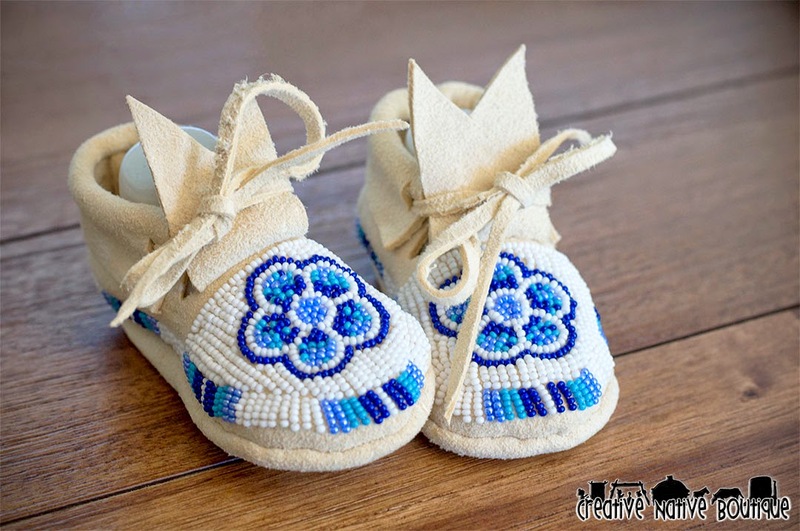 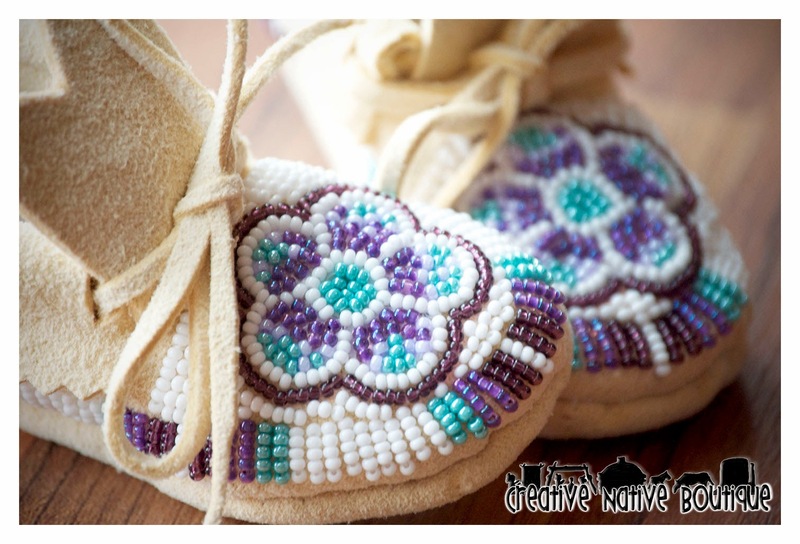 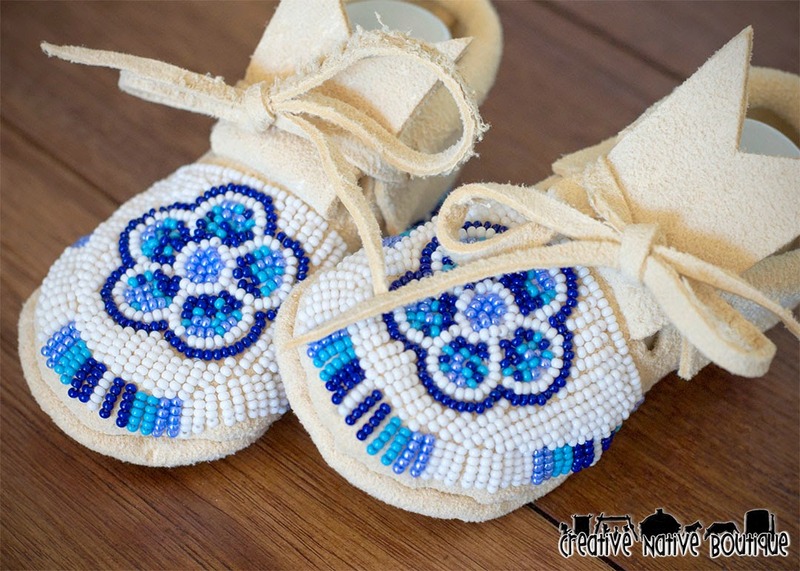 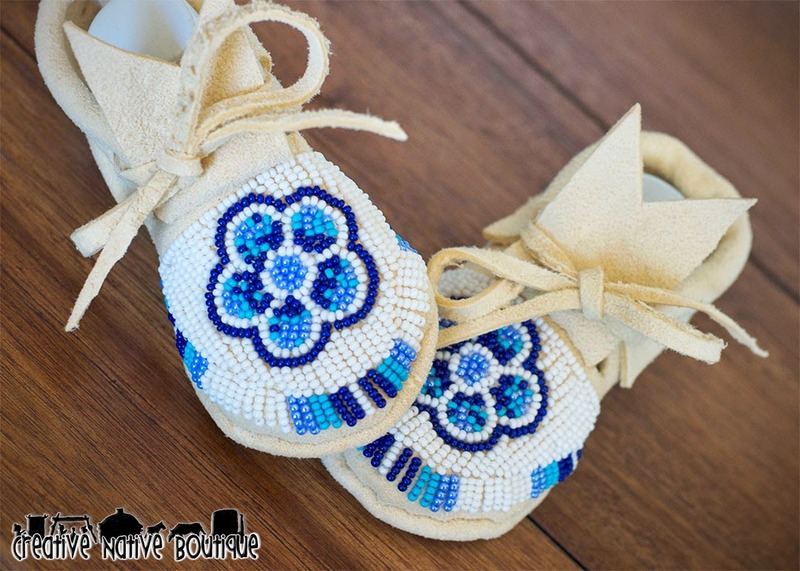 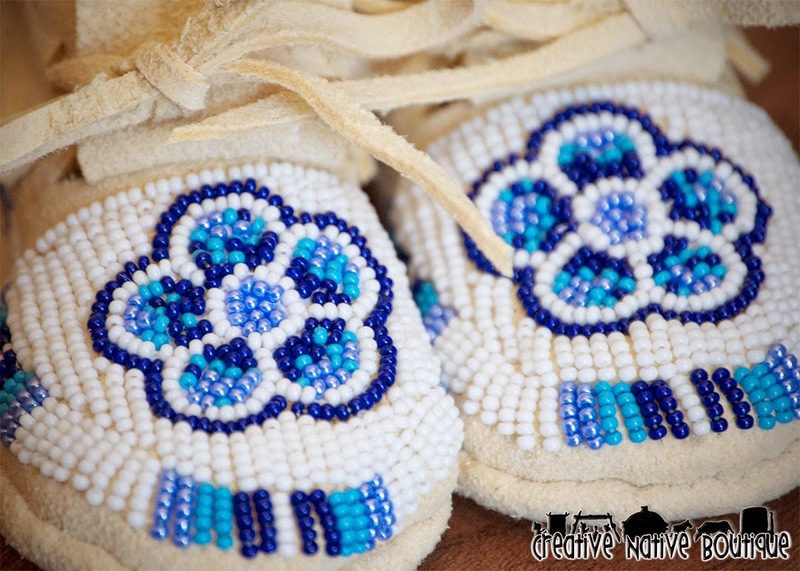 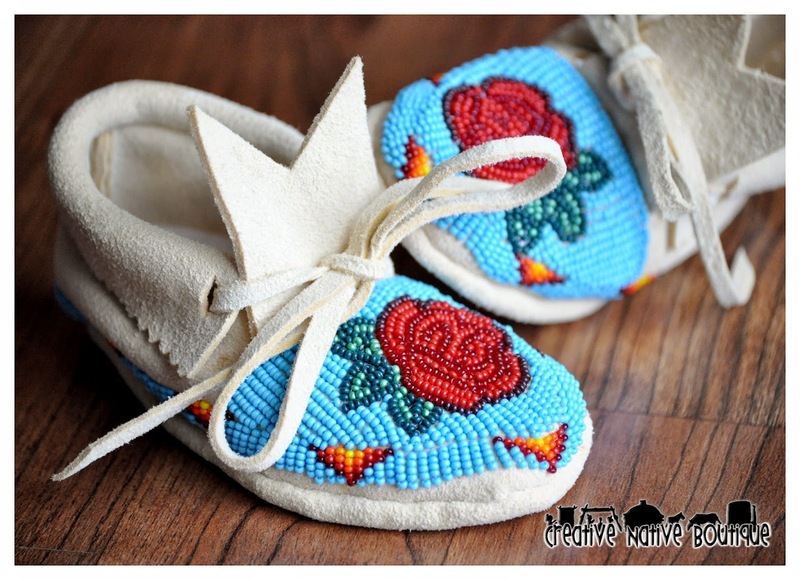 They are fully beaded with a Native American Floral Design. 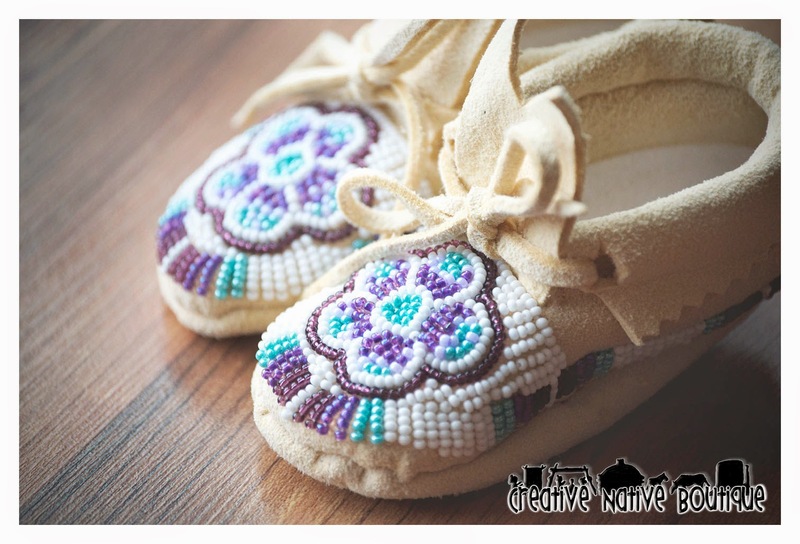 The shades of purples, cranberry red and white are perfect against the light pink background. 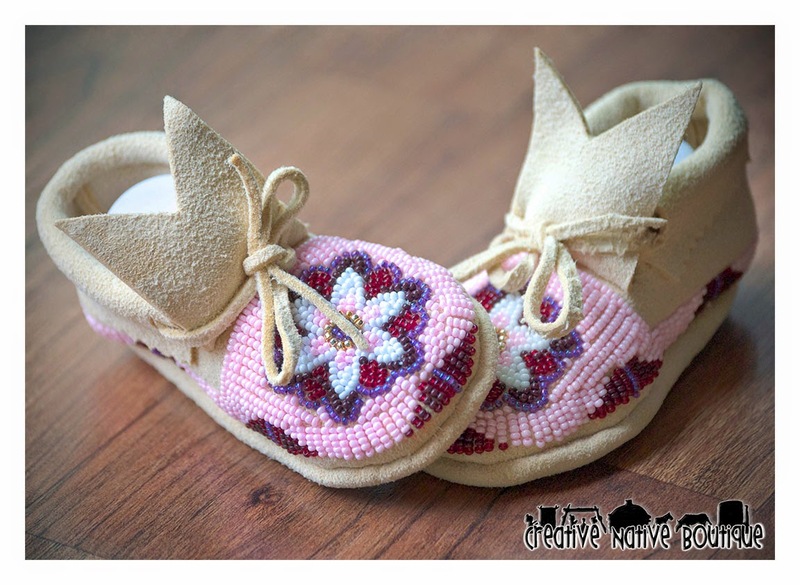 These are one of a kind and would definitely make the perfect gift for that new baby girl, or displayed on a shelf! 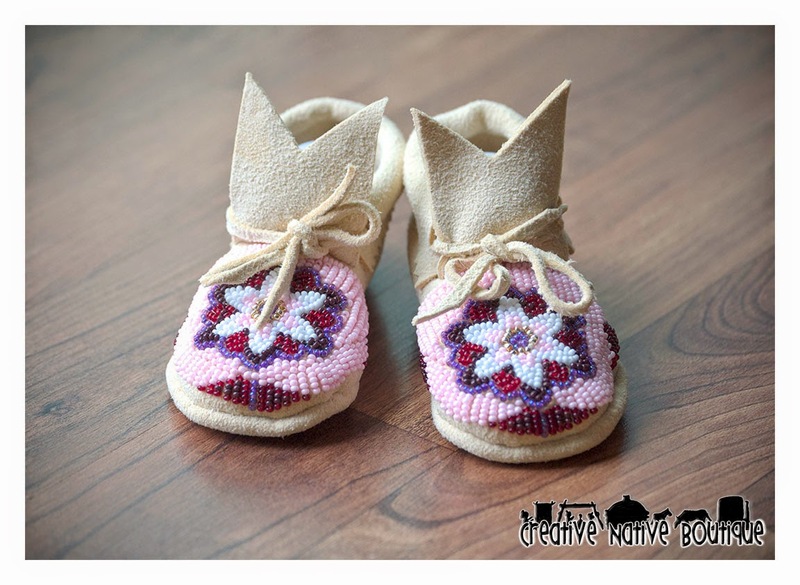 They are finished and ready to purchase in my Etsy Shop! 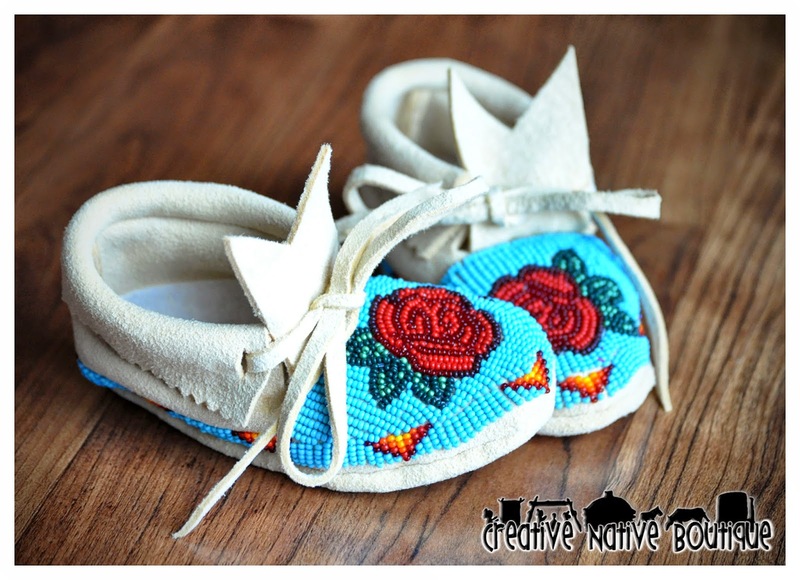 Here's my take on an Ojibwe style floral design. 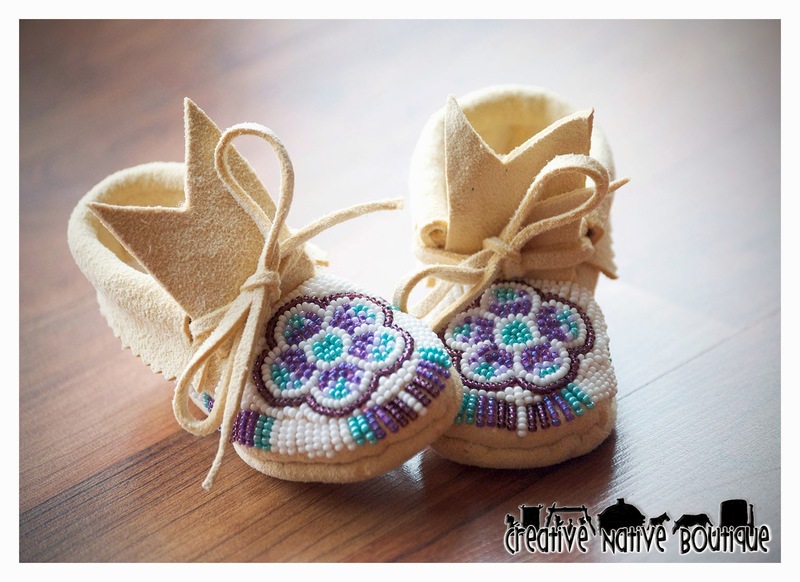 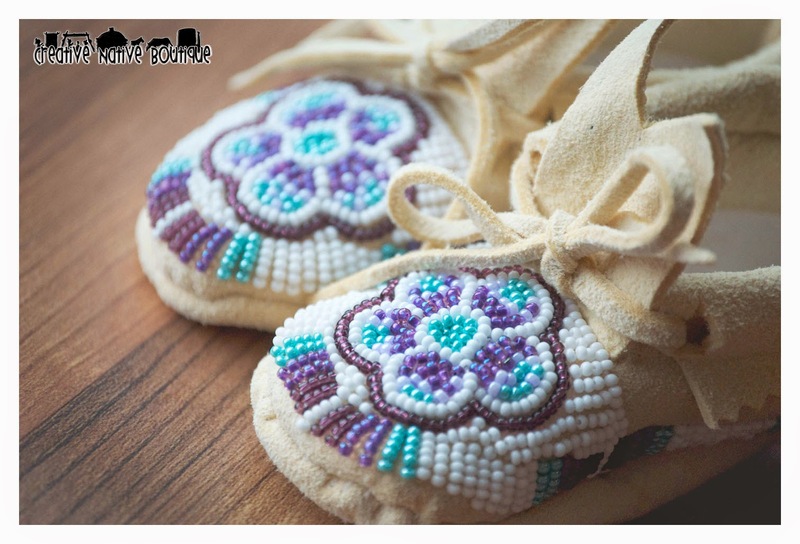 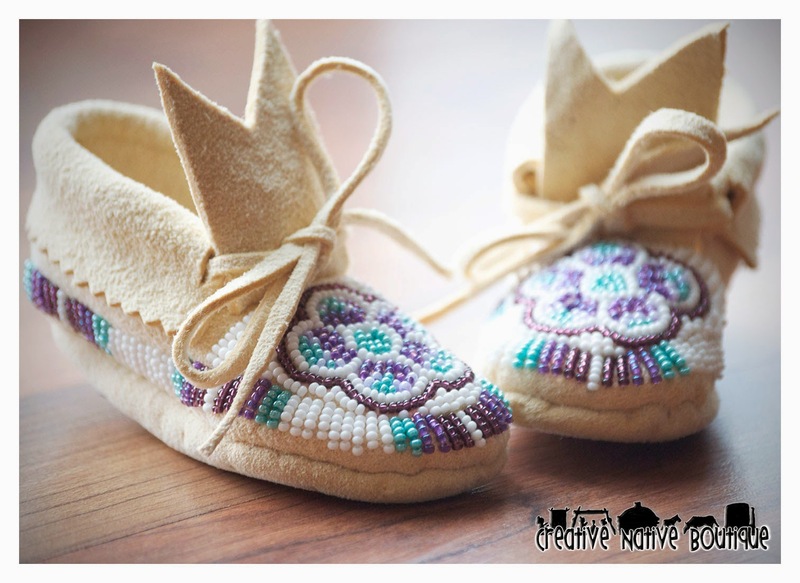 These moccasins are finished and available to purchase in my etsy shop. 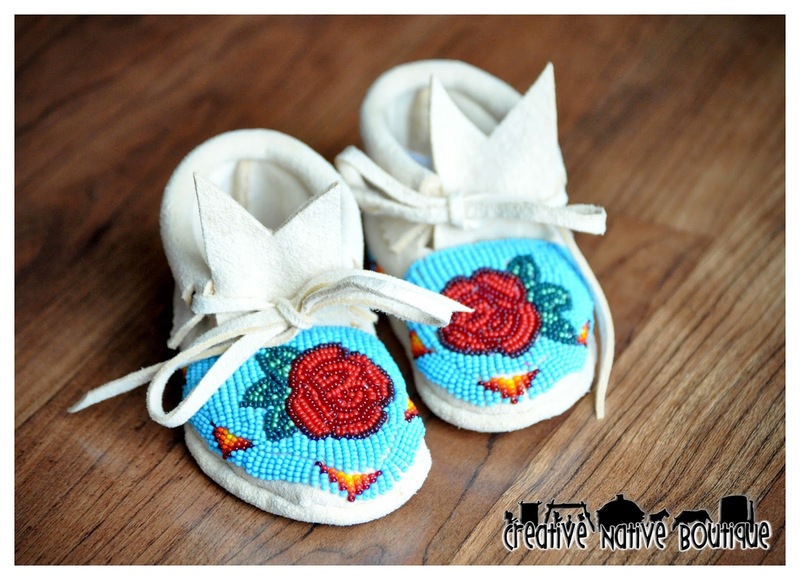 They are a Baby Size 1. 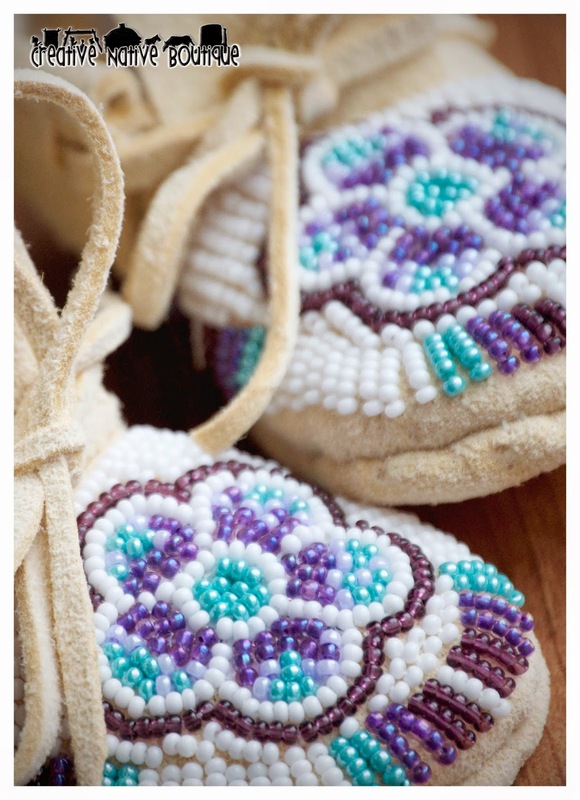 Fully beaded in shades of purple, white and turquoise. 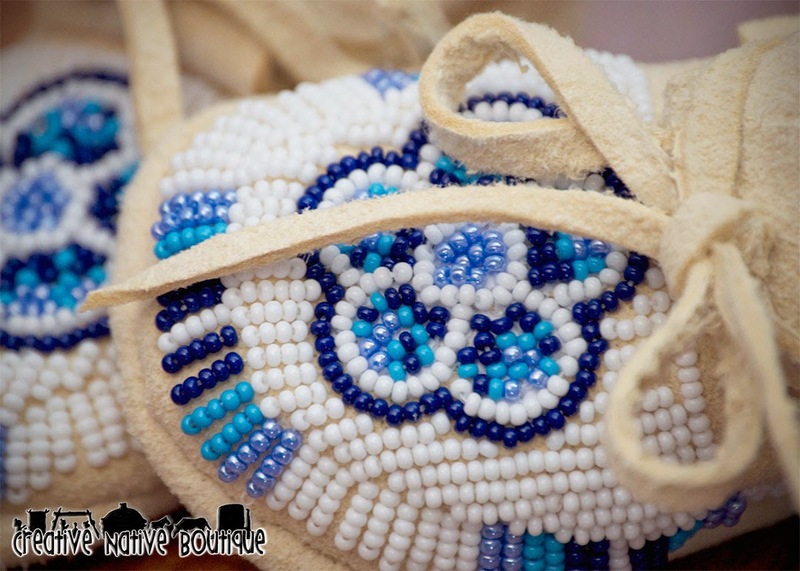 I have always admired the beadwork of the Shoshone-Bannock tribe. 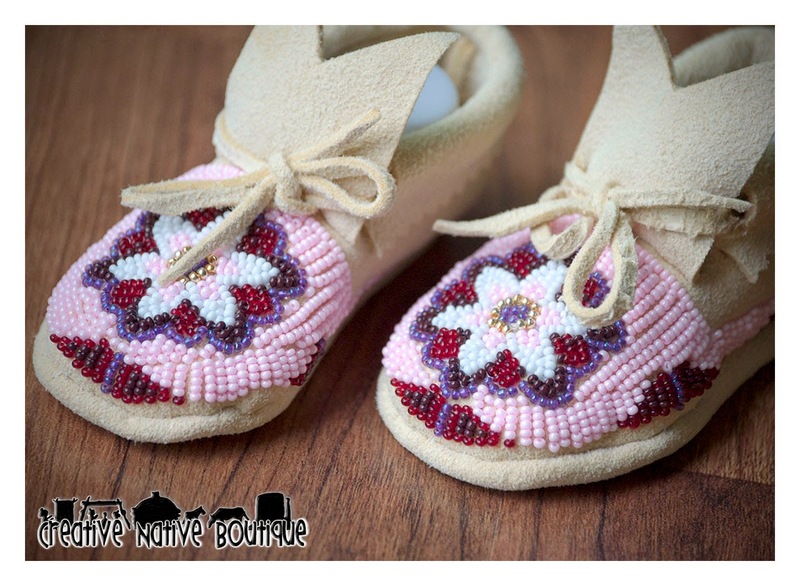 In fact, seeing their beadwork as a kid is what inspired me to take up beading. 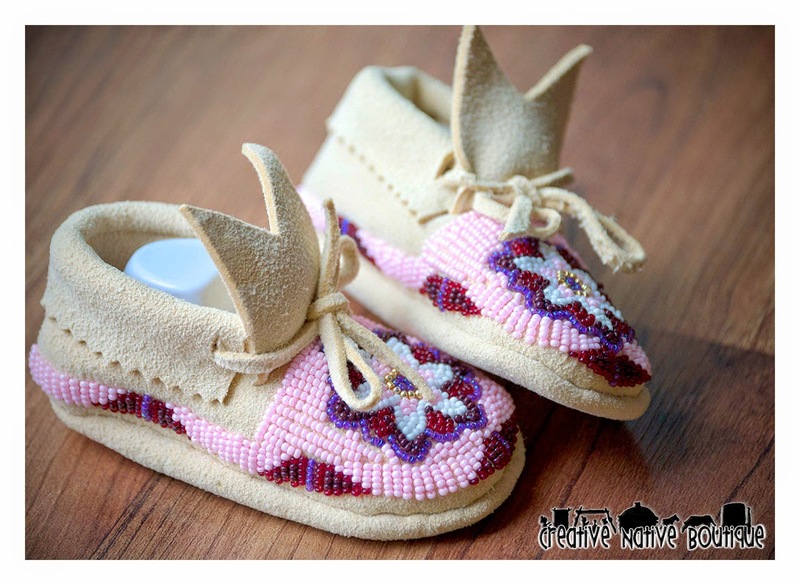 They are excellent beaders and their beadwork is world renowned. 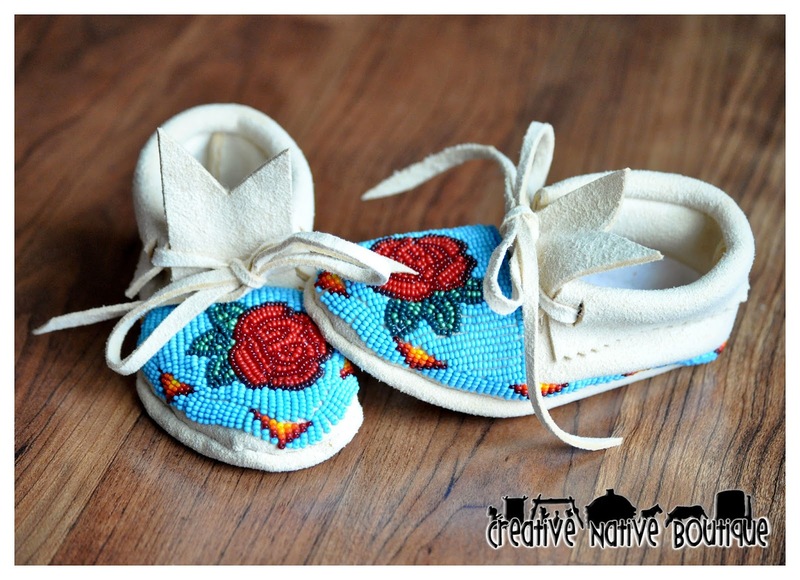 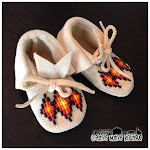 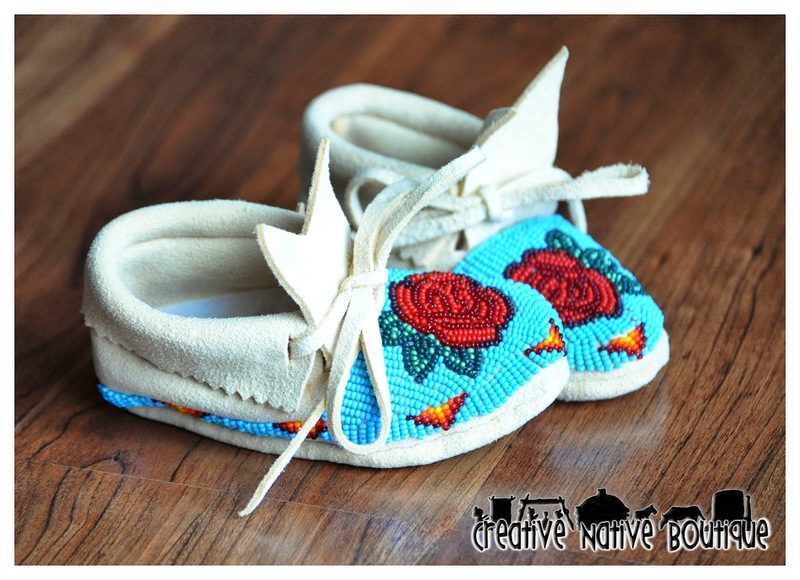 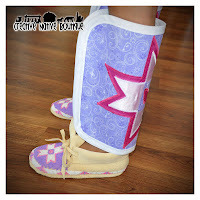 Here is my first pair of Shoshone Rose moccasins! 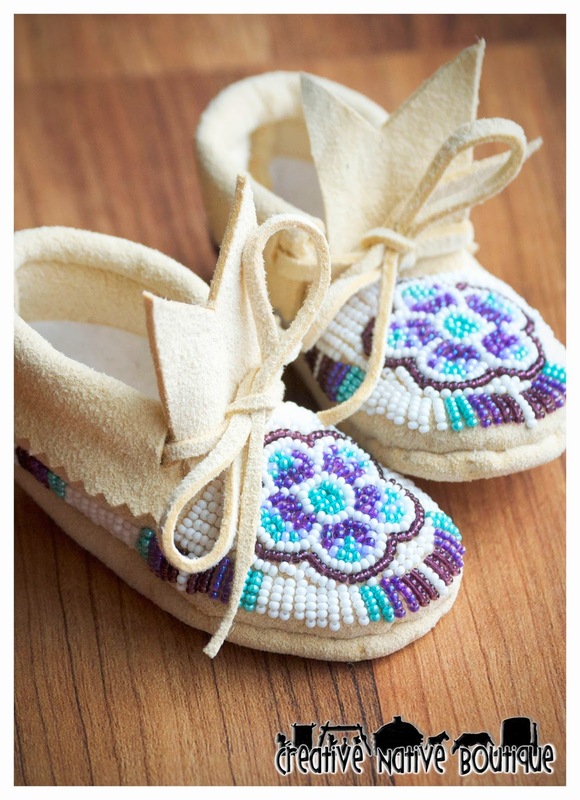 They are a baby size 3. 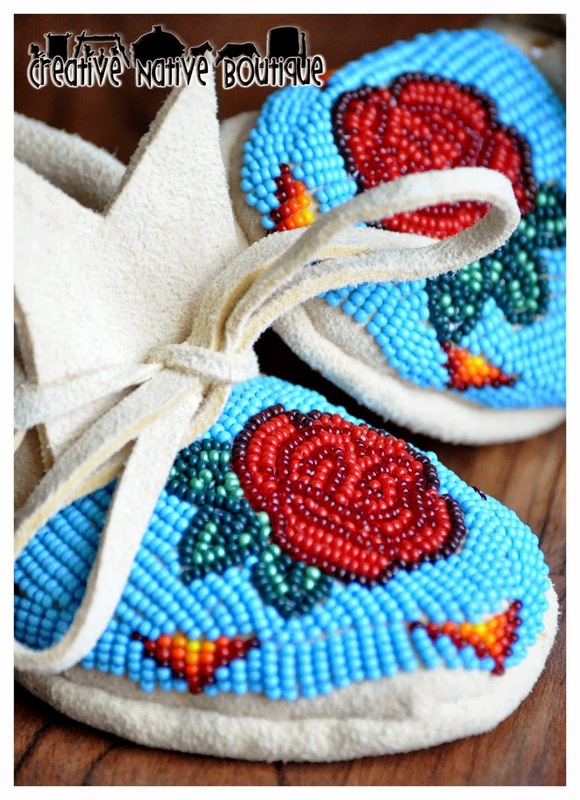 Fully Beaded with Traditional Shoshone Rose design and colors. 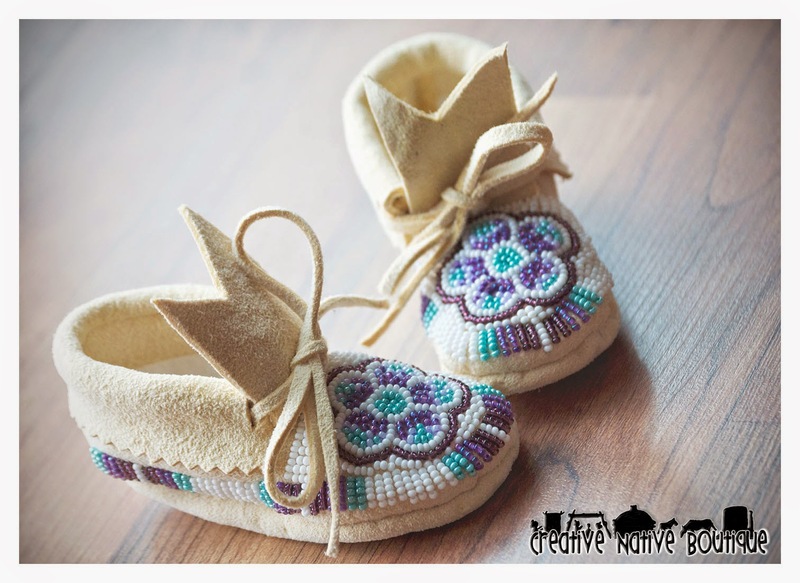 These are available in my etsy shop to purchase today!